SACRAMENTO, Calif -- Officials are raising the projected cost of the first phase of California's bullet train by 35 percent, to $10.6 billion. 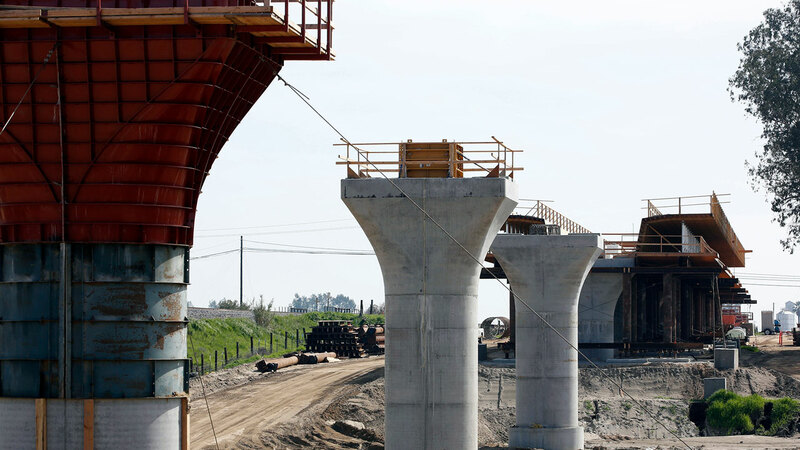 The extra $2.8 billion comes on a 199-mile segment in the Central Valley that is partly under construction. The California High-Speed Rail Authority board discussed the increase Tuesday. The added cost is due to delays in obtaining rights of way and barriers needed along parts of the track, among other things. It boosts the overall cost of the project to nearly $67 billion, which officials say they hope to recover later. The project has been plagued by cost hikes and lawsuits since it was projected to cost $40 billion in 2008. The bullet train is supposed to connect San Francisco and Los Angeles in under three hours by 2029.